« How Should the US React to Human Rights Abuses in Ethiopia? The Ethiopian marathoner crouched down low in the hallway at the Miami airport as he carried a bouquet of red roses. Feyisa Lilesa’s daughter spotted him first and ran in for a hug. Then, his young son and lastly his wife. 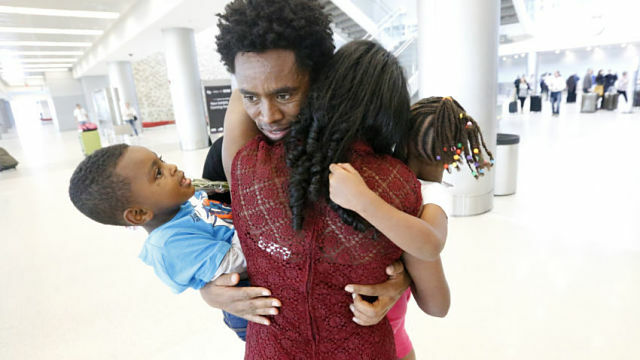 On Valentine’s Day, the Olympic silver medalist who became an international figure when he crossed his wrists in protest at the finish line in Rio de Janeiro finally reunited with his family. He was a little late (traffic), but what’s a few extra minutes when he’s already waited six long months to see them. As he made his way out of the airport, his daughter rode on the luggage and his son perched on his shoulders, carrying the flowers he brought as a gift. 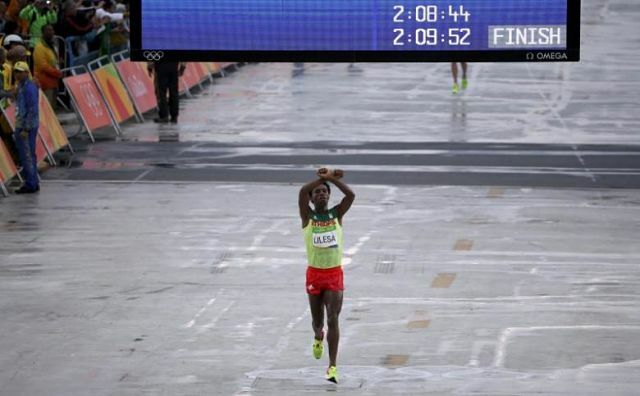 Olympian Feyisa Lilesa Arrives in the U.S.
Ethiopia Says Protesting Marathoner to Be Welcomed as Hero, But Does He Want to Go?